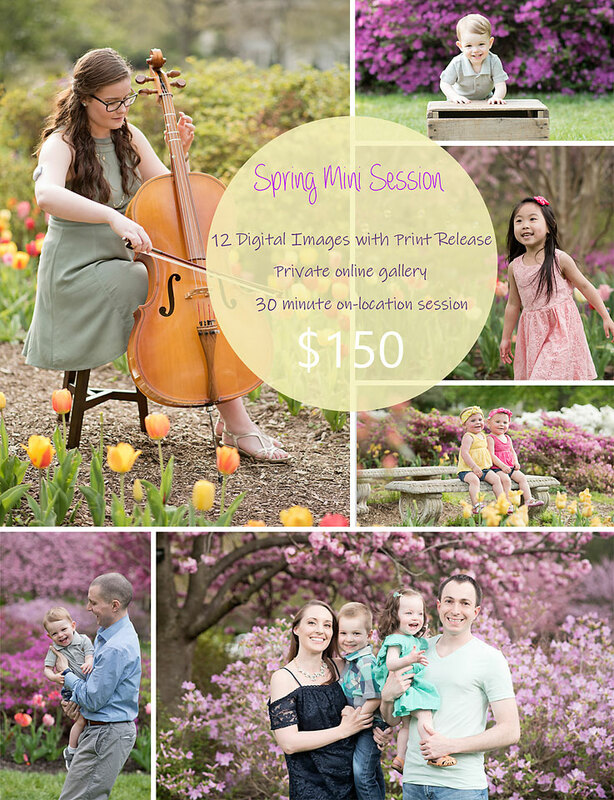 Spring Mini Sessions- 4/27/19 and 5/4/19. Rain dates: 4/28/19 and 5/5/19. Contact me for details.